The creation of Lynx Professional Grills was the vision of a group of people who, for more than 30 years, had been manufacturing stainless steel products for the commercial restaurant industry. These products were engineered to stand up to heavy use and the test of time, the same “design elements” needed for outdoor kitchen products, which must endure extreme weather conditions in Arizona. The Lynx grill meets the needs of today’s most sophisticated grilling clientele. 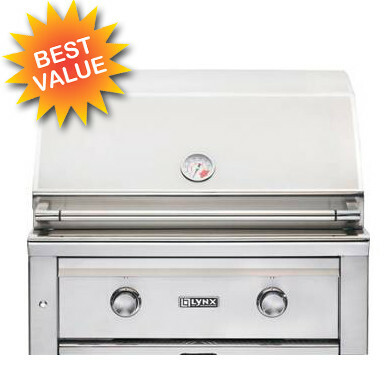 Lynx L500 30″ Built In Propane Gas Grill with ProSear Burner L500PS-LP: Extraordinary value in a premium and top quality grill. 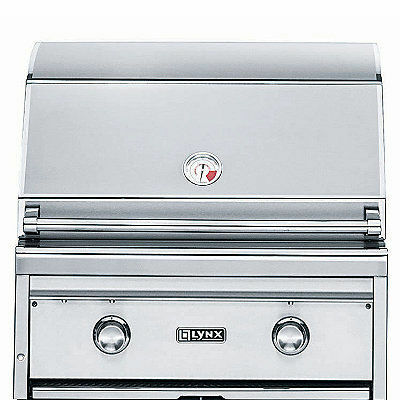 The Lynx L500 grill has one ProSear burner and one stainless steel burner a total of 46,00 BTUs. The ProSear burner sears meat to perfection for mouth-watering steak. Easily light the grill using the electronic ignition with a battery backup. The ceramic briquets over the burners click into place and distribute the heat evenly across the 479 square inches of main cooking area. See additional features. You can see, feel- and taste- the quality of the 27″ Lynx Built-in Grill. 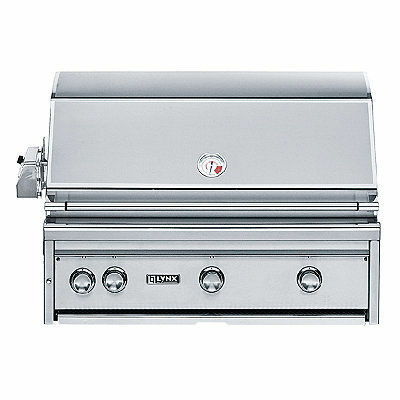 Expertly constructed in the USA of corrosion-resistant 304 stainless steel, this grill combines two cast brass burners that deliver a total of 50,000 BTUs with fixed-position ceramic briquettes for an extremely consistent and even cooking temperature, resulting in tender and mouthwatering foods hot off the grill. See additional features. Sized just right for both everyday grilling and small gatherings, the Lynx 30″ Built-in Grills with Rotisserie deliver the high performance and high quality you want. 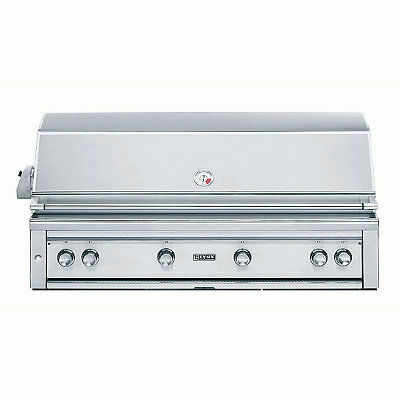 This premium grill features seamless non-corroding 304 stainless steel construction, unique cast brass burners, and an easy-to-use rotisserie. See additional features. 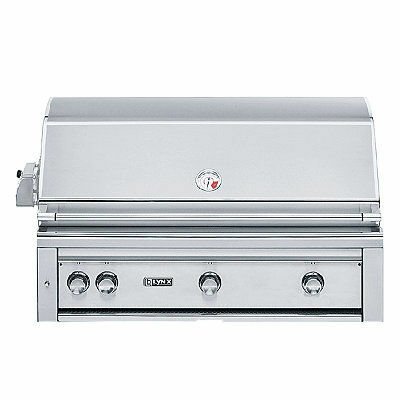 Lynx 36″ Built In Natural Gas Grill with ProSear Burner and Rotisserie. 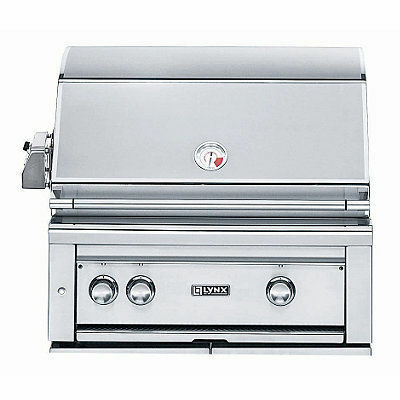 Experience the finest in outdoor grilling performance with the superior craftsmanship and innovative features found in this 36-inch natural gas grill from Lynx. The quality begins outside with gleaming, high-grade 304 stainless steel that has been seamlessly welded to eliminate areas where grease and moisture can collect. See additional features. With the Lynx 42″ Built-in Grill Head you can experience all the conveniences of a premium indoor kitchen in your outdoor living space. From the unique cast brass burners to the seamless 304 stainless steel construction, every facet of this professional-quality cooking center is engineered and crafted in America for superior steakhouse results and years of trouble-free grilling. Each cooking center component is designed for easy drop-in placement in your custom-built brick or stucco enclosure. See additional features. Our professional-quality Lynx 54″ Built-in Grill with ProSear Infared and Rotisserie has everything you need for the ultimate day of grilling. This capacious, premium grill boasts 100,000 BTUs, 1,555 square inches of cooking space, a seamless non-corroding 304 stainless steel design, and restaurant-precise variable infrared controls. See additional features.